The grand opening of Edmond and Lily Safra Children's Hospital took place in 2002, and today, The Edmond and Lily Safra Children's Hospital employs some of the most dedicated, experienced practitioners in pediatric care. Many have come to work at the Chaim Sheba Medical Center after accumulating years of experience with other leading pediatric institutions. 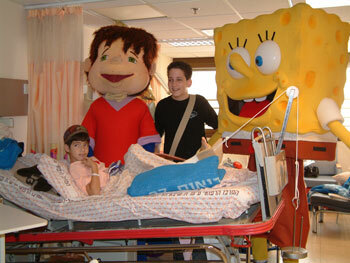 On average, annually, about 60,000 children receive inpatient and outpatient help in the Safra hospital. Prof. Gideon Prat is a Director of the Edmond and Lily Safra Children's Hospital. The Emergency Department includes an emergency room with outpatient and inpatient facilities that enable simultaneous treatment of 8 patients. The Emergency Department provides all types of acute care, treating many afflictions and injuries of infants and children up to 16 years of age. The National Medicine Program lists pediatric health as its number one priority, and the tireless staff in every department of the Edmond and Lily Safra Children’s Hospital shares? that commitment. The Pediatric Rehabilitation Department has been designed to accommodate 20 patients and includes 4 beds for children requiring long-term mechanical ventilation. The primary goal of department practitioners, nurses, and certified technicians is to return patients with congenital or acquired disabilities to the maximum possible self-sustained life. 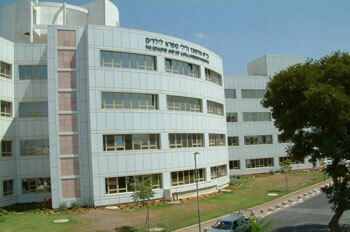 The Center of Child Development at the Edmond and Lily Safra Hospital is the first of its kind in Israel. Within its framework are a variety of diagnostic and treatment clinics, as well as a day-care department for children with autism. Pediatric Endocrinology Clinic provides diagnosis and treatment of various hormonal disorders in children. Specific concern of the Clinic is to fight the spreading epidemics of childhood obesity and diabetes. The Pain Management Clinic at the Edmond and Lily Safra Children's Hospital is a one-of-a-kind pediatric clinic. The Clinic provides for conscious sedation during various painful and unpleasant procedures, as well as reduction of anxiety and fear during pediatric surgical procedures. So far, the clinic's services have benefited more than 1,000 young patients. The Pediatric Pulmonary and Cystic Fibrosis Center specializes in the treatment of childhood diseases, such as asthma and allergic reactions. Staff also studies lung function and various invasive procedures, including bronchoscopy. The aim is to breath new life into ailing children, making them happy and whole again. Due to the success of early diagnostics, the incidence of congenital malformations, such as cleft palate, a split lip, and malformation of facial bones (especially the most severe of them), is steadily declining. The multidisciplinary team of experienced professionals, including a plastic surgeon, an orthodontist (a specialist in maxillofacial surgery), speech therapists, speech pathologists, pediatricians and social workers, work closely together to eliminate the consequences of such defects. These experts accompany the children and their families at all stages of the child’s development, and strive to provide the necessary professional help in terms of therapy as in terms of socialization in society. In addition to successful operations to eliminate defects of the palate and lips, the Department of Plastic Surgery at Sheba Hospital has gained vast experience and rich knowledge in the field of reconstructive operations on the ear. If necessary, the operations are performed in collaboration with ENT- and other specialists. For steady successful outcome of such operations the Department has earned international recognition. Dr. Batya Yafa- the Head of Upper Extremities Surgery and Microsurgery Department. Specialty: plastic surgery, surgery of the upper extremities, aesthetic surgery. Dr. Eyal Vinker – the Deputy Head of the Department. The field of clinical activities: Responsible for the performance of operations for malignant melanoma and sentinel lymph nodes, breast reconstruction, elimination of the defects and asymmetries of the breast. Mrs. Malka Cohen - a nurse-coordinator for the Breast Health Conservation Clinic.